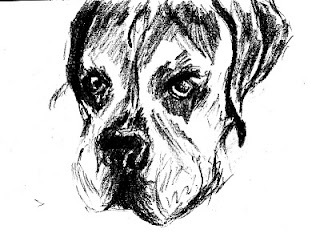 As I said at the end of my last post, this will focus on my more recent drawings. A hodge-podge of sorts, I suppose, but then my next art post will get into the illustrating-for-a-small-press thing, and my inordinate fondness for beetles. During college my artistic passion waned a bit, and I changed my major to biology. Yes, I know, that's pretty random. But I didn't give up on my creative side. I spent some time painting store-bought figurines, including a Nativity set that took weeks to complete and is still my most cherished Christmas decoration. I love the camel :). I also got into scrapbooking after my son was born. Don't let anyone tell you that doesn't take creativity. (And a bit of an obsessive personality....) But it's not the same as drawing when that's something you really loved doing. 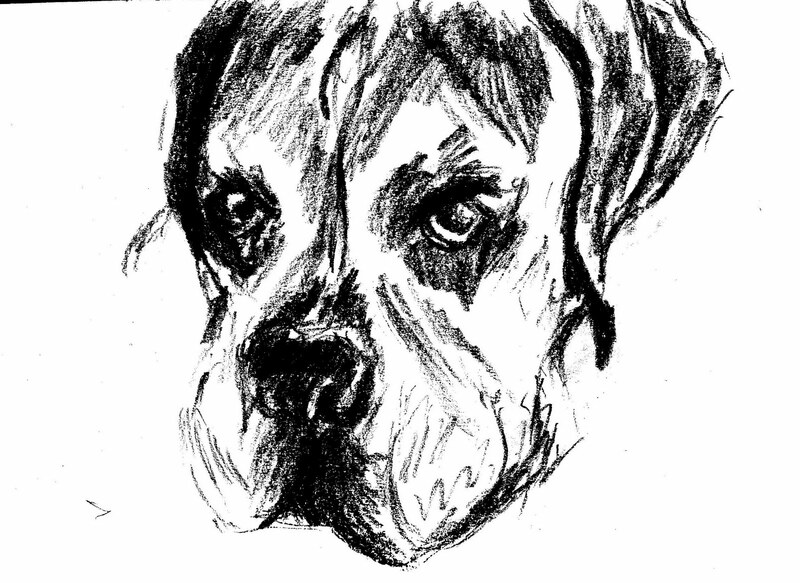 So I grabbed my sketchpad a few years ago and drew my old boxer, Rocky. OK, yes, I posted this before, but he's just so adorable. Then I decided to draw a friend's cow. Don't ask. 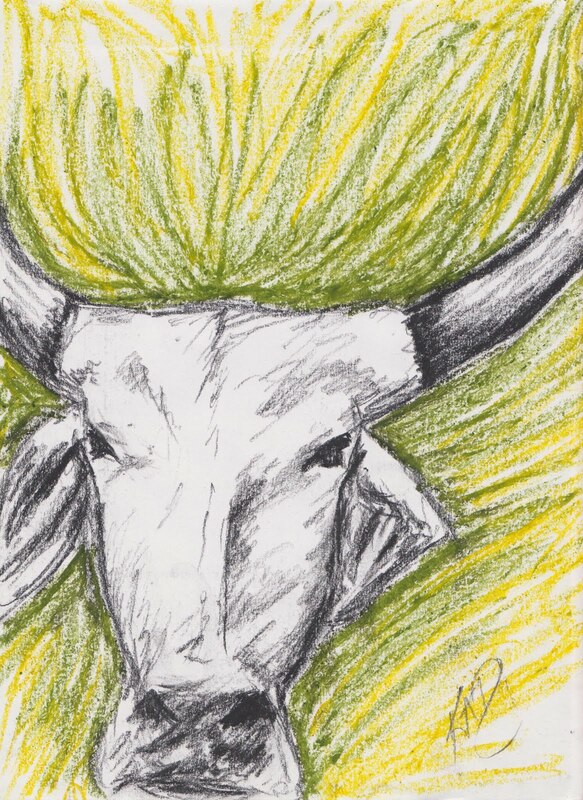 An artist friend of mine saw this and said, "Whoa, trippy cow." And it is thus titled. But my world is not limited to the mundane, and I had to try my hands at some fantasy work. 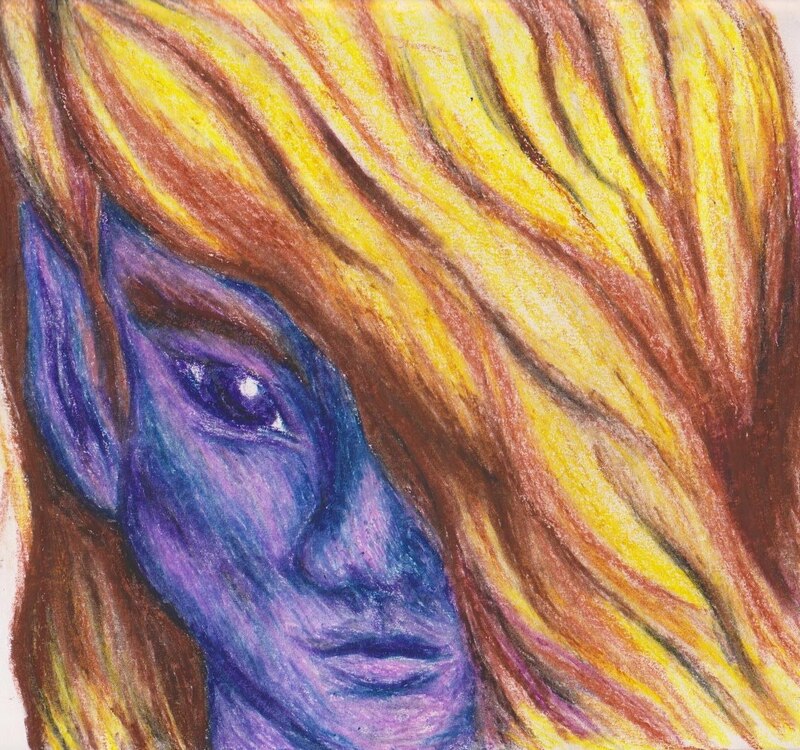 Of course nothing says "fantasy" like a blue-skinned elf :P. This was my first attempt at using oil pastels for something other than background (like the scribbling behind the trippy cow). 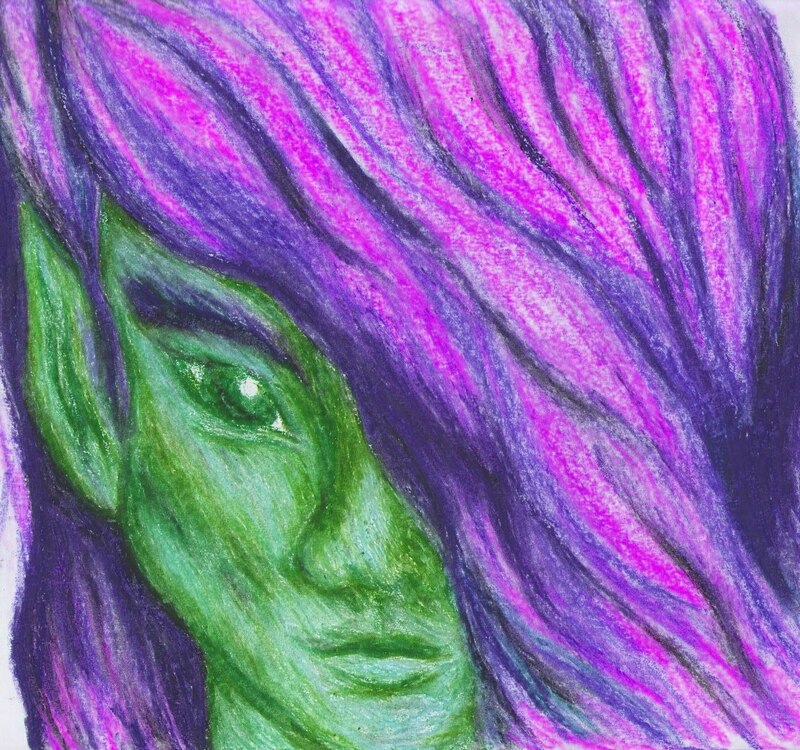 ...and blue-skinned elf becomes green-skinned elf with purple hair :). Yes, photography counts as art! Especially when it is not just "point and shoot." This is a gargoyle that normally guards my bedroom door. I placed him against the tile floor in my bathroom. Got him angled just right and took a few shots on the macro (close-up) setting. I turned the whole image sepia with my photo-editing software, and played with the contrast a bit. I love how his little fanged face just pops out. I'm totally tempted to write a book about a gargoyle just so I can use this guy for cover art. Alright, that brings us pretty up to date. My next post will technically be a book review and interview with Karina Fabian. Her latest release, Neeta Lyffe, Zombie Exterminator, just released and I had the privilege of reading an advanced copy. (Sneak peek here--I loved the book. Karina is hilarious.) So, look for that on the 19th, and then we'll get back into the art mode. I thought I was the only person with gargoyles guarding places inside a house. I just a review about Neeta Lyffe by Caprice Hokstad. Looking forward to yours. Wow! I'd seen tho others and I love them, but that photo - amazing! I am a Kat fan! It's nice to see more drawings. That digital photo is top notch. Okay, you know I meant to write "read a review," right? Sigh. That's what I get for commenting so early.